LASER FLEX automation systems are designed for high volume production environments. They have a modular design and are available in a wide range of configurations and features that can be customized to facilitate throughput. 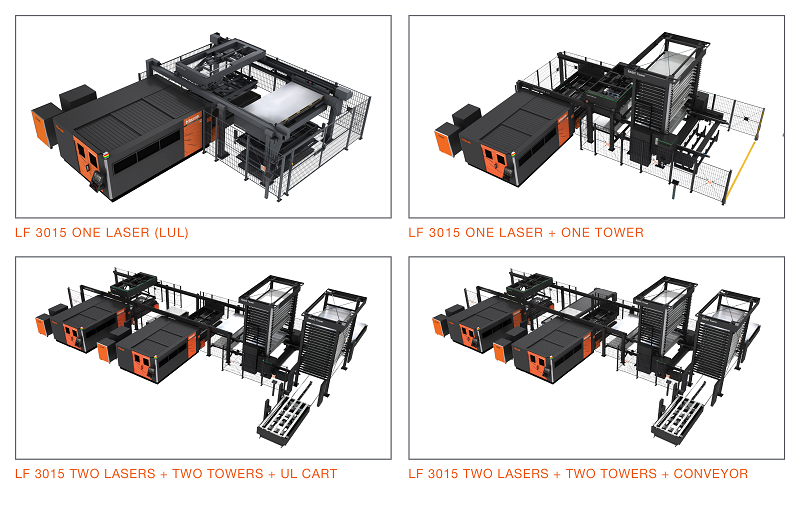 LASER FLEX systems utilize independent load/unload functions to accelerate sheet-to-sheet cutting productivity. Sheets are loaded utilizing a suction cup based system and unloaded by a clamshell fork system. 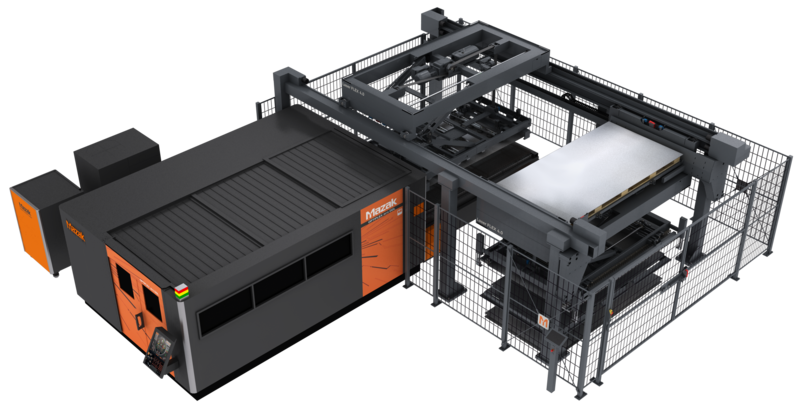 The clamshell forks can optionally be ordered with a SOFT TOUCH belt system to reduce the possibility of scratching finished workpieces. Towers can be added for load/unload capacity while cart systems and conveyors allow workpiece separation as production continues. LASER FLEX systems are available in a variety of 3015, 4020 and reverse flow configurations. They can be integrated into an automated storage/retrieval system for even greater capacity.